This virtual exhibition sheds light on Alfred Wegener's expeditions to Greenland between 1906 and 1931. Its main focus is on the diaries Wegener wrote during his explorations, which offer unique insights into the manifold challenges man and material faced in Greenland's extreme environments. You may choose to read the diaries in their original state, or browse the expeditions individually and read transcribed and translated excerpts by clicking on the tabs below. 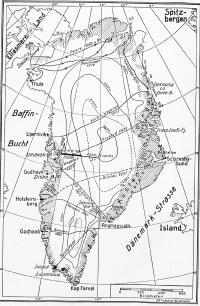 The goal of the Danish Danmark Expedition led by Ludvig Mylius-Erichsen (1872–1907) was to map a then-unknown section of the coast of northeast Greenland. The expedition suffered from the death of its leader Mylius-Erichsen, who, along with the Greenlander Jörgen Brönlund (1877–1907) and the cartographer Niels Peter Hög-Hagen (1877–1907), never returned from their final sled journey. The diaries provide an insight into Wegener’s day-to-day scientific work, the setting up and reading of the instruments, minor repairs, and particularly his aerological work with kites and weather balloons, which were being used for the first time in polar research. 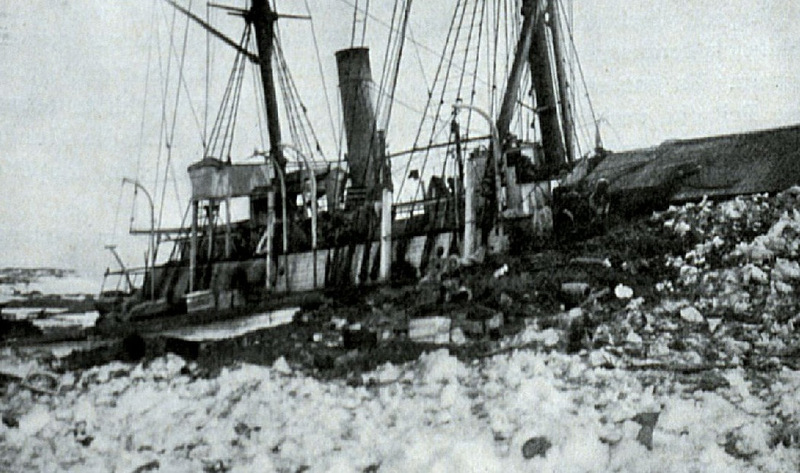 This first polar expedition also served as an important learning experience for Wegener and provides insight into the social challenges with which he was confronted as a novice. He reflects both on his own position and on the strengths and weaknesses of other team members more than he does on subsequent expeditions. Wegener, who was inexperienced and still learning Danish, had yet to earn recognition as a scientist, and therefore hoped to gather important technical and logistical experiences for future expeditions. In order to do this, it was necessary to travel to the icy north and prove his ability to lead dog sleds across long distances. Questions and goals of a future South Polar expedition continuously preoccupied Alfred Wegener during his first expedition to Greenland from 1906 to 1908. 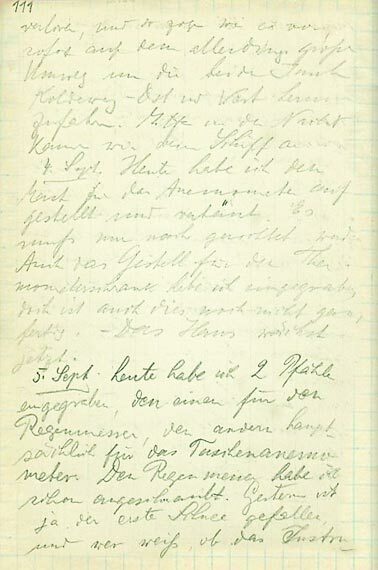 The passage “Ideen über die Ziele der Südpolarforschung” (Ideas about the Aims of South Polar Research) can be found in the final pages of his diary, which were written between 9 May 1908 and 6 August 1908. This conceptual sketch offers both a summary and a scientific reflection on the climatologic implications of ice sheets. At this point, apparently, he envisioned the exploration of Antarctica as the main goal for his future career. View selected pages from Wegener’s diaries [Deutsches Museum Archiv, NL 001] and their transcripts. For the complete original click here. 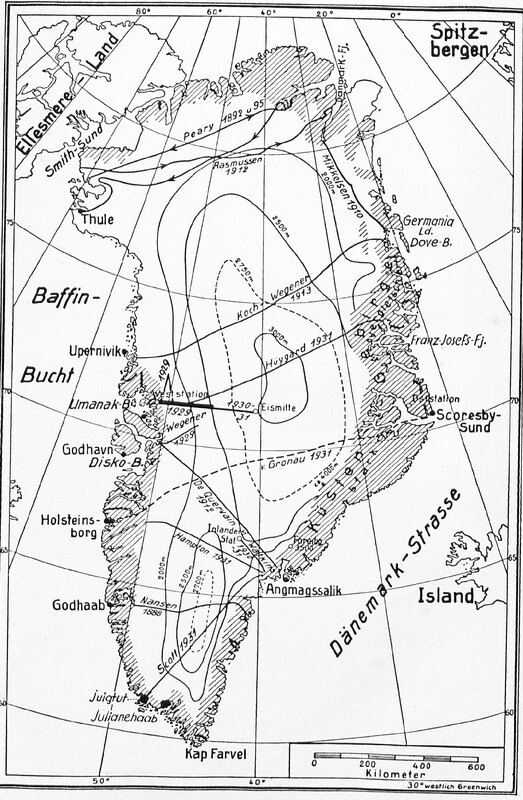 Source: Alfred Wegener, Tagebücher, June 1906–August 1908. Deutsches Museum Archiv, NL 001/005.